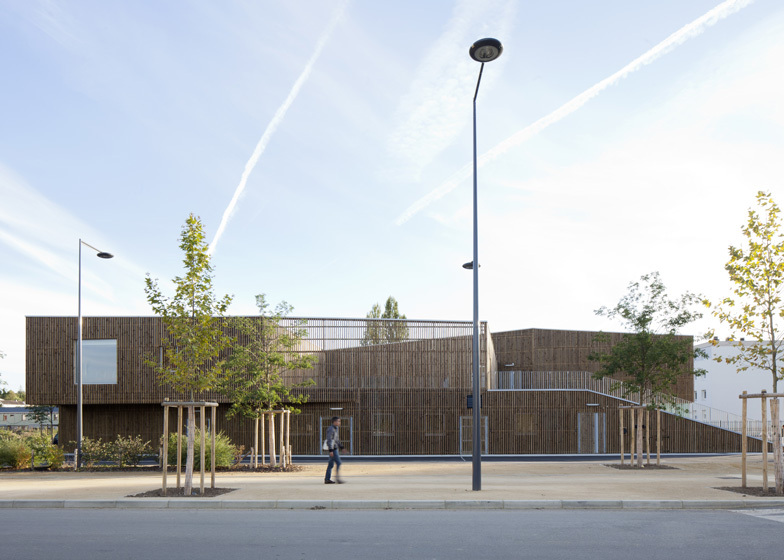 Bleachers climb over the roof of this timber-clad community centre in France by Ateliers O-S Architectes (+ slideshow). 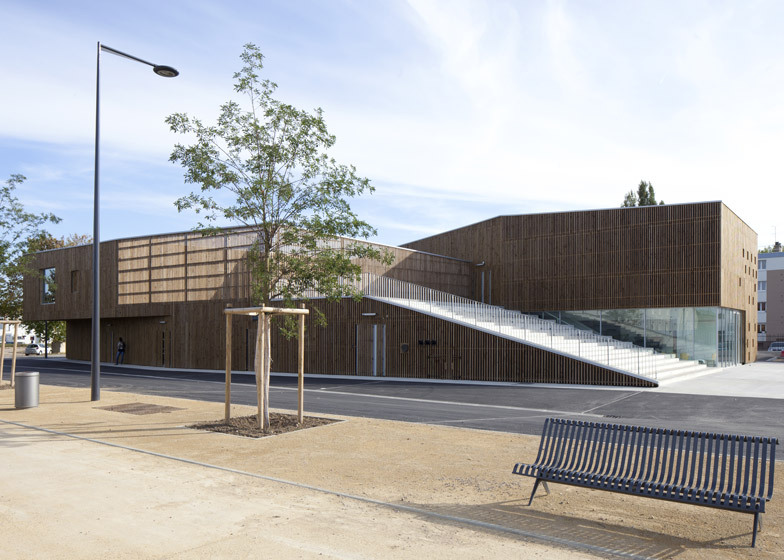 Located in the town of Nevers, central France, the two-storey centre was designed by Ateliers O-S Architectes with tiny square windows and a courtyard at its centre. 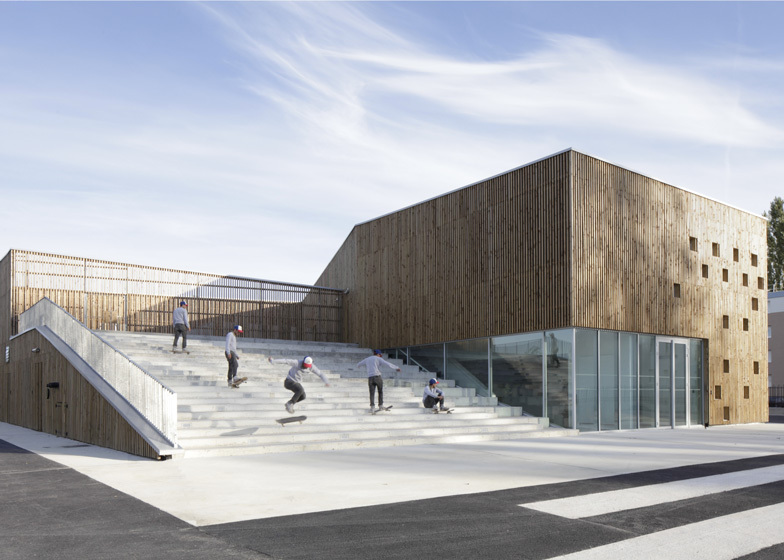 The architects conceived the bleachers at the front of the building as a tiered public square that can be used for events, games, or simply as a picnicking spot for local residents, "like an agora overlooking the neighbourhood," they explain, referencing the ancient Greek name for an assembly place. 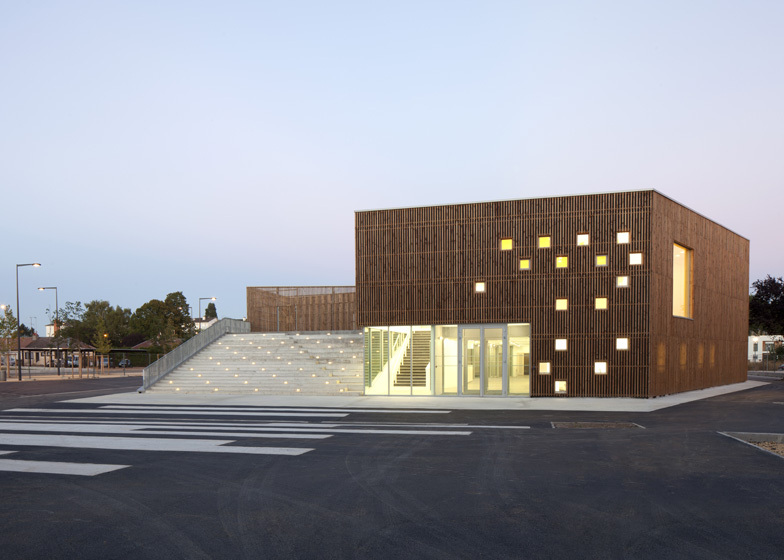 "The strategic position of the cultural centre and the program led us to design a compact and generous project, as an extension of the public space enhancing the identity and image of the neighbourhood," they added. 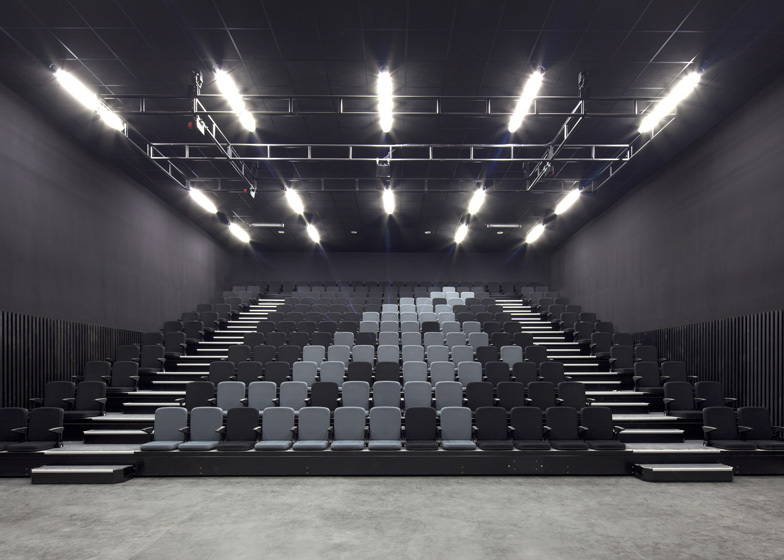 Visitors to the building enter through a double-height atrium, which leads through to a 220-seat auditorium on the ground floor. 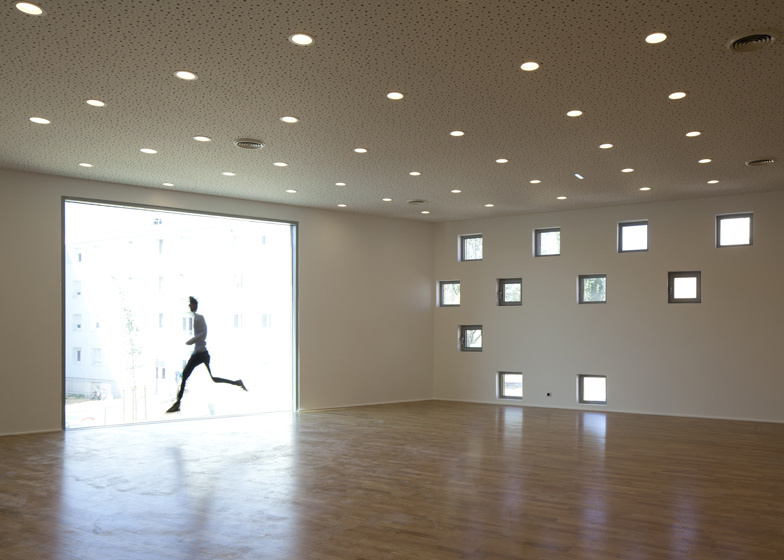 Other facilites on this floor include a creche and a series of event rooms, while a dance hall and meeting rooms occupy the first floor. Glazed walls surround the central courtyard on two sides to bring natural light into the ground floor corridors, while a private first-floor balcony overlooks the space from above. 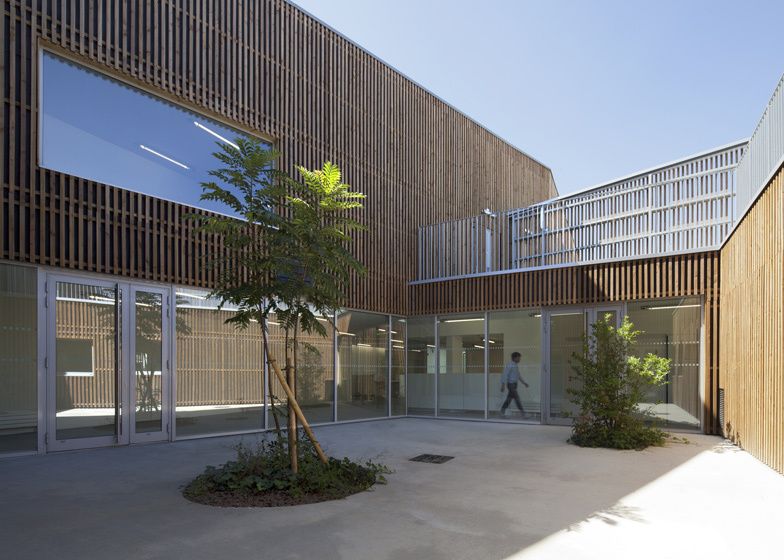 Behind the timber cladding, the building has walls of concrete but the architects concealed them to "create a friendly environment". Other projects we've featured with public spaces on the roof include Snøhetta's opera house in Oslo, as well as 3XN's recently completed cultural centre in Molde. 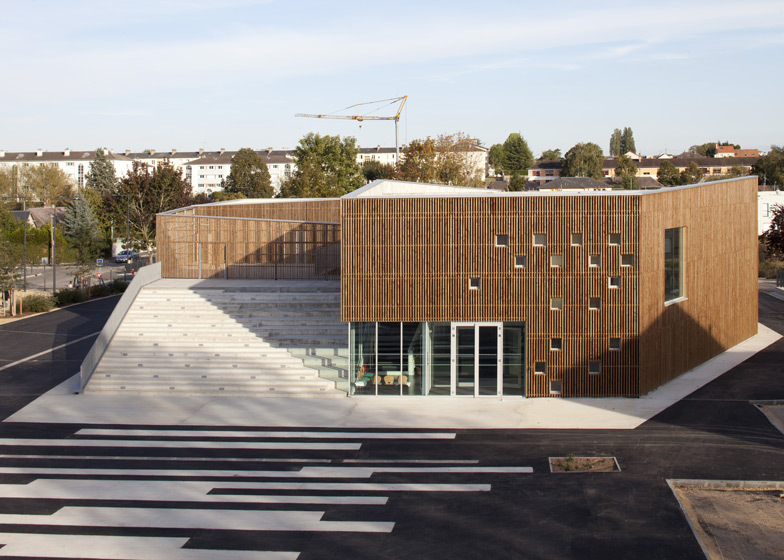 See more community centres on Dezeen, including one that looks like a meteorite. Photography is by Cecile Septet.